Growing up I wasn't ever allowed to snub off any curry or veggie that was served. The house rule was you eat whatever is given, no excuses and no special meals for anyone. That forced my dad to try the dishes that mom grew up eating, mom learnt to cook the dishes dad grew up eating and I in turn got a peep of whatever both my grandma's cooked for my parents and their siblings. My husband on the other hand was never forced into trying anything that they did not want to. As a result he missed out on many of the dishes which did not look alluring but tasted awesome. 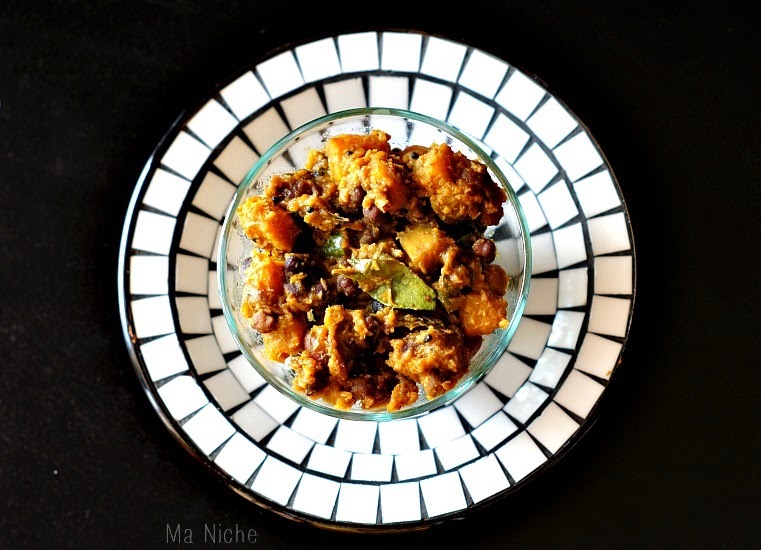 Kokharu Khatta or pumpkin chutney with black chickpea is one of those dishes that my mother-in-law prepares, but my husband had no recollection of eating. However when forced to try, he admitted that it tastes wonderful with dosa and uttapam and also as a side with rice and dal. 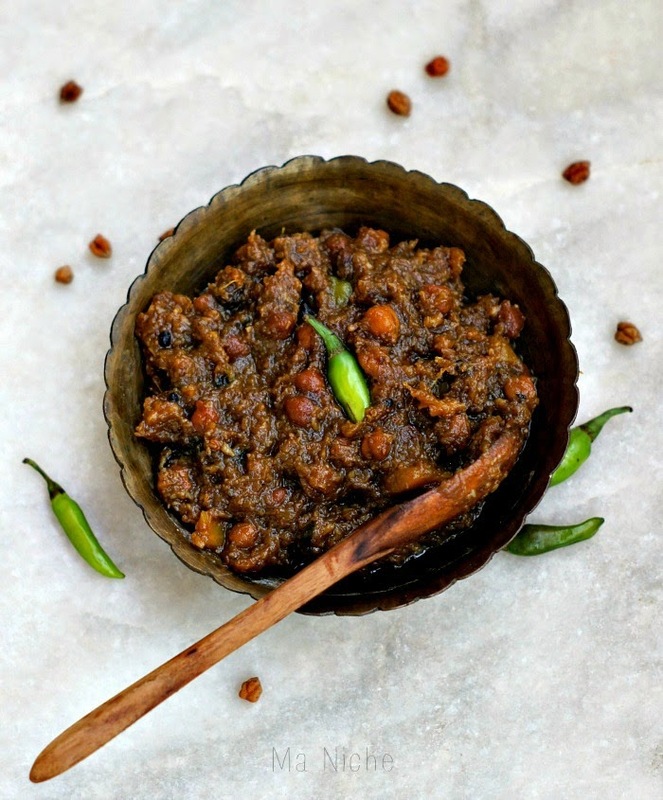 Soak kala chana or black chickpeas in warm water for atleast 2 hours. Drain and pressure cook the soaked chana with a pinch of salt. Keep the boiled chana aside. Put the cubed pumpkin in a pan. Pour enough water into the pan to cover the pumpkin pieces. Add a pinch of salt and turmeric powder to it. Cover and cook the pumpkin over medium low heat for about 10 minutes, until the pumpkin pieces are just cooked. Drain off the water and keep the cooked pumpkin aside. Heat the oil in a kadai or pan. Add panch phoran, split green chillies and curry leaves to the hot oil. When the seeds stop spluttering, add the cooked pumpkin, dates, shredded coconut and tamarind paste to the pan. Stir in the coconut milk, cover the pan and simmer till most of the liquid has evaporated. Which ever way you choose to prepare, mashed or chunky , finally sprinkle the roasted cumin seed powder over it. Mix gently and switch off the heat. The chutney is now ready to be served. Your pumpkin chutney recipe sounds and looks delicious. I love to try and new and different recipe. Thank you for sharing with the Clever Chicks Blog Hop! I hope you’ll join us again next week! Thank you Kathy. It is always a pleasure to join your party ! 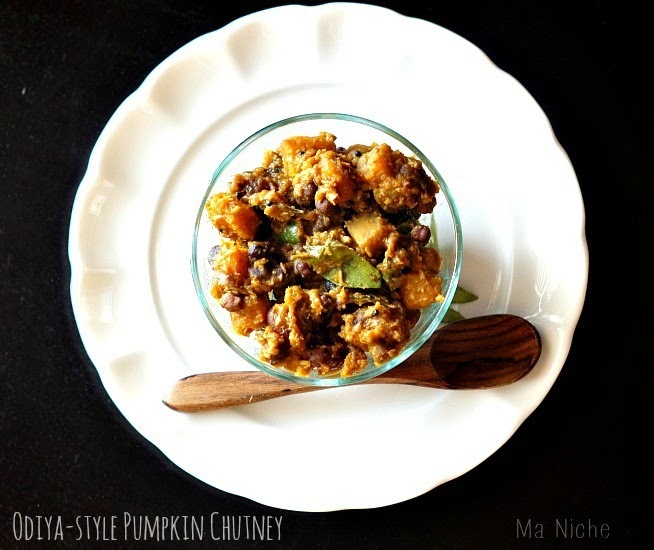 I love anything with pumpkin, this chutney sounds amazing! I enjoyed the part about the innovativeness of the people in the Puri-region in Odisha, so creative. Thanks for sharing at What'd You Do This Weekend? I hope you will join us again this Monday! It really is interesting how people develop recipes in this part of India. The more I am learning, the more I am enjoying..
Pumpkin my favorite, this pumpkin chutney Looks delicious, thanks for sharing with Hearth and soul blog hop, pinning. tweeting and sharing it in google plus. Thanks Swathi. It is indeed delicious... and thank you so much for sharing. Your Pumpkin Chutney sounds delicious, Tanusree and I enjoyed reading the story behind the recipe. Thank you for sharing with us at the Hearth and Soul hop. 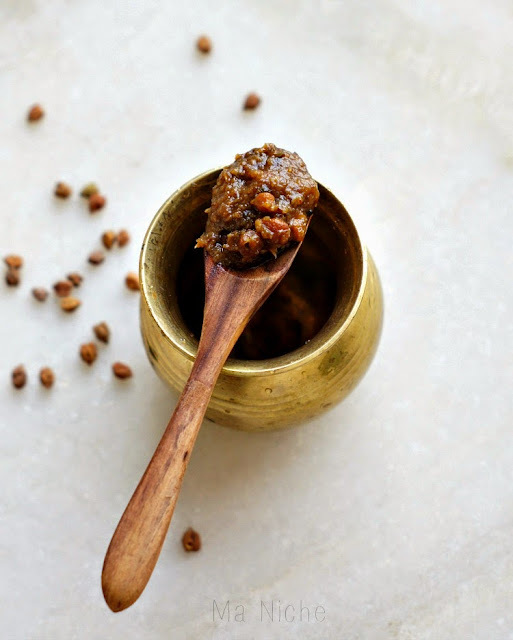 This chutney sounds super awesome and must try. I will be grateful if you can able to share pinterest link. I want to bookmark your this recipe.. This looks delicious! So mouth watering. I will definitely try it this week. Can we use different vegetables? Will the ingredient's quantity be same?